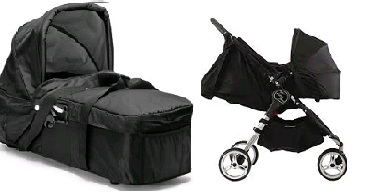 1 week, 2 weeks, 1 Month, 3 Months, 6 Months, Stylish and light weight this bassinet can be used in a number of ways for babies < 6 months old. 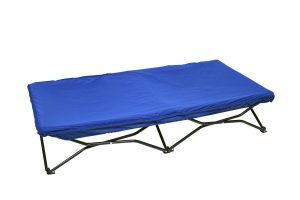 Bassinet/Co Sleeper This bassinet is a great height to be used next to parent’s bed at night and has the added advantage of being lightweight enough to be easily moved. 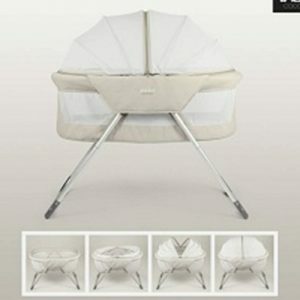 With a length of 79cm and width of 41 cm is it larger than some other bassinets on the market. 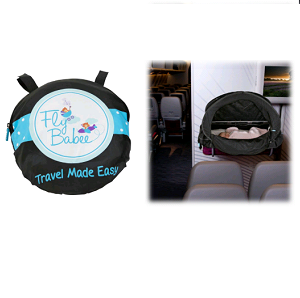 Travel Bassinet As a travel bassinet it easily folds down (takes about 30 seconds) to 25cm x 20cm x 8cm and weighs about 1-2kg. It is a much safer option for a young baby than the traditional porta cot.